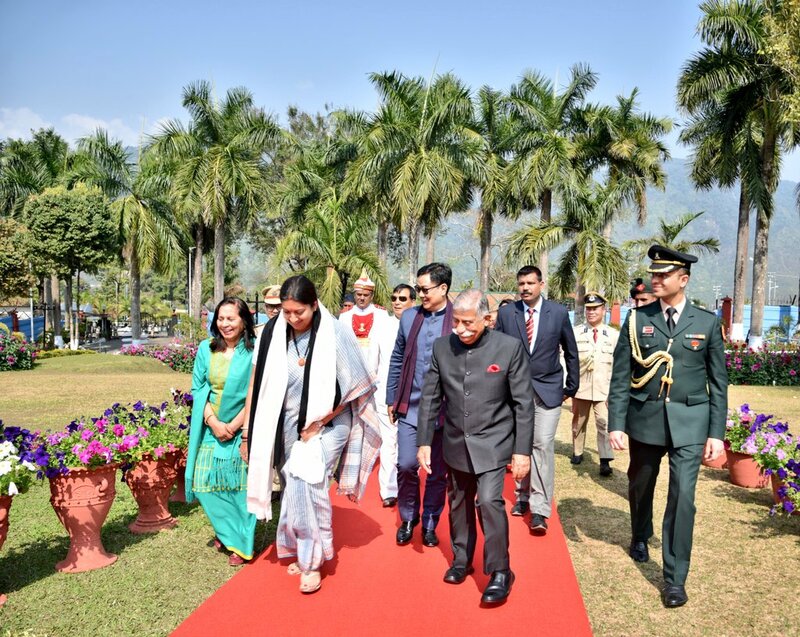 GUWAHATI: Union Minister of Textiles, Smriti Zubin Irani who is on a two-day visit to the Northeast since Thursday, launched Integrated Large Scale Eri Farming in Arunachal Pradesh under North East Region Textile Promotion Scheme (NERTPS) on Satrurday. Integrated Large Scale Eri Farming under NERTPS with a total project costing Rs.37.25 cr with GoI share of Rs.35.65 cr, is meant for upliftment and socio-economic development of Tribal Women in Arunachal Pradesh by generating employment to 6350 persons per year from soil to silk activities in five districts of the state. The project envisages to support Eri food plantation in 1,000 acres with activities from soil to fabric and would empower the tribal women of the State with employment opportunities and sustainable livelihood, besides producing high quality Eri Silk. Union Minister of State for Home, Kiren Rijiju who is an MP from Arunachal Pradesh, has termed the inauguration of the Eri farming project a big boost to the frontier state. “A big boost to Handloom & Textile sector in Arunachal Pradesh. Union Textile Minister @smritiirani ji inaugurated Integrated large scale Eri Farming in Arunachal Pradesh under North East Region Textile Promotion Scheme (NERTPS). She also announced multiple support provisions,” Rijiju tweets.